In this episode, I share my Top 5 entrepreneurial mindset hacks that have helped me become a successful entrepreneur and make more money. Ask any successful entrepreneur if their mindset has played a major role in the success they’ve achieved, and without a doubt, they will tell you that having the right mindset is one of the major determinants of success in pretty much every walk of life. In other words, the thinking patterns you habitually adopt largely govern the results you achieve. What you have been conditioned to believe around success heavily influences what actions you will take (or don’t take.) For many successful entrepreneurs, upgrading their entrepreneurial mindset is the key to achieving more success in business and life. If you’re someone who’s committed to living an extraordinary life that’s about contribution and never-ending growth, this Tanya Aliza TV episode is a must watch. With every Episode of Tanya Aliza TV, I like to empower you with a FREE resource that you can download and implement right away. This week, I created My Top 10 Things You Can Start Doing Today to be Super Inspirational and Still Make a Ton of Money. These are very simple yet powerful entrepreneurial mindset shifts that can help you increase your influence and make more money. Your mind is like a computer that can be programmed. You can choose whether the software installed is productive or unproductive. Your inner dialogue is the software that programs your attitude, which determines the actions you will take while building your business. One of the most important steps you can take towards achieving your greatest potential in business and life is to monitor the inner dialogue that goes on inside your mind. Helping others, serving others, solving your clients and customer’s problems – is what all successful entrepreneurs do. Make no mistake. Making money is necessary to business, but despite what many “gurus” might tell you, money is not the purpose of business. Making someone else’s life better cannot be reduced to dollars and cents. If you achieve the real purpose of your business, by helping others and delivering extraordinary value, then you will create the relationships and trust required to growing a thriving business, and as a byproduct, the money will follow. In my many years of being a successful entrepreneur, I can confidently say that using my time wisely and only focusing on the tasks that will create the most impact in my life and business has been the catalyst that has taken me to becoming a 7-figure income earner in my entrepreneurial journey. Think carefully about why you are engaging in any task or activity and what impact it will have in your life and business. Being busy does not mean you’re being productive. Engaging in the activities and tasks in your life that have the greatest impact that will serve the most people is the key to becoming successful in every area of your life. Are you an entrepreneur who hates sales? If yes, then here’s a simple mindset shift tip you can use to go from cold call coward to confident closer. Instead of thinking about sales as a simple transaction of an exchange of goods or service for money, start viewing it for what it really is; an opportunity to make an impact or change someone’s life. That’s the sort of Jedi mind shift you need to put in action to transform your attitude about sales. I’m not going to pretend that I’ve always liked prospecting. 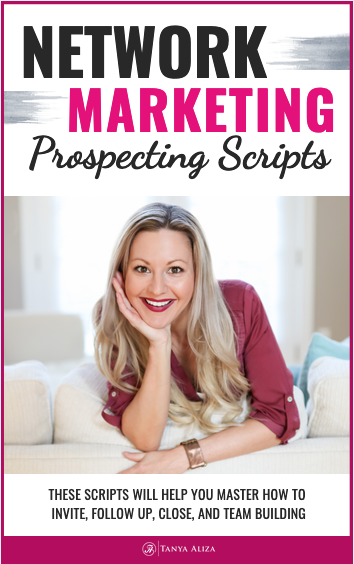 And to be entirely honest, I used to cringe just by thinking of the word prospecting. I used to imagine prospecting as the act of hunting people down and it didn’t sit right with me at all. I had to make a shift in my thinking and allow a different conversation to take place in my head around the topic of prospecting so that I could be at ease with myself and my prospects. This question shifted my view of prospecting and gave me a new realization around what prospecting actually is. Relationships, including business relationships, are naturally built all the time and just about anywhere. Helping others and building relationships is what prospecting is all about. Practicing this one mindset shift will help transform your business in a big way! Your ability to succeed in business is not determined by your personality, looks or where you were born. But it has a great deal to do with your skills. Investing time and money in growing my skills has been a critical part of my success as an entrepreneur. Entrepreneurs who invest in their skills have a tremendous advantage over those who don’t. If you increase your skills, you increase your income. Keep expanding your entrepreneurial mindset by learning and staying on top of industry trends. And commit to investing time and money in increasing your skills. The good news is you are already making an investment to increase your value by reading this blog post! 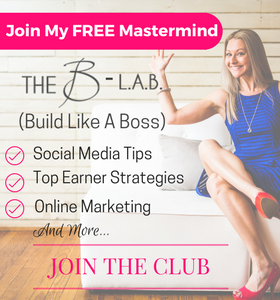 This is my signature course when it comes to building a Influential Brand Online that attracts leads and sales for your business. 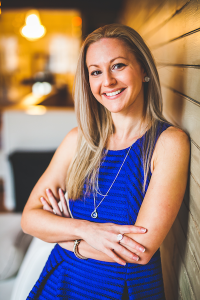 So if you’re an Entrepreneur and you need more business…. check this out! Can you believe that I used to think that money made people evil? Up until 2014 I had a terrible relationship with money and because of that, I had trouble attracting it. Can you relate? I love this training so much and it has completely changed my outlook on money. I believe this training was a HUGE reason we were able to breakthrough to the 7-figure mark in our business and I share it every chance I get. Please share your thoughts or questions in the comments below – and if you know of anyone who would find these tips helpful, feel free to share! I hope you did, because each week I put my heart into making sure you get amazing tips and strategies to rock it in your business work while creating a life you love.